The contact with nature is the main sport both in Lunigiana and Garfagnana. Trekking is probably the best way to enjoy the environment and the landscape of this valley, especially in Autumn when the colours are golden and in the villages the smoke comes from the chimneys and the mushrooms’ harvesting is plentiful. The routes along the two Appennine and Apuan sides follow the ancient itineraries which linked medieval villages, churches, towers and mills. There are simple routes, ideal for spring and autumn and during the winter. In the villages you can find stopping places and it is often possible to find accommodation for the night in small hotels and have a dinner in genuine ”trattorie”. The presence of manages in the area, where to stop, allows also horseriding tours. Even the bikers can enjoy themselves since from Aulla to Castelnuovo Garfagnana the railways guarantee the transport of their bikes. 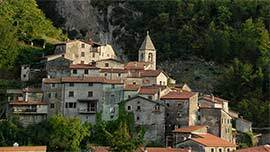 On the mountains of Fivizzano (Vinca) and of Monzone free-climbing is possible as well as to canoe down the Magra river and the stream of Taverone. 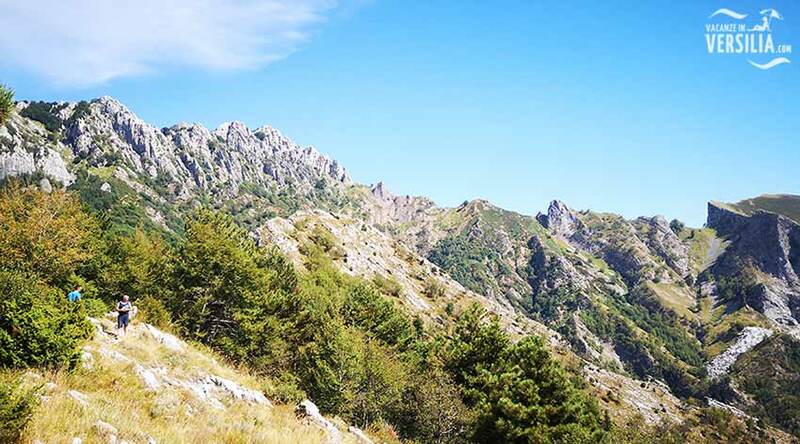 This is a way which across the Apuan Alps links Massa to Modena. It has been built by the mathematician, engineer , abbot Domenico Vandelli between the 1738 and 1751. The duke of Modena , Francesco III d’Este, wanted a safe way linking his own territories to the Cybo Malaspina’s ones. The latter being the sovereigns of Massa whom Francesco d’Este has formed a wedding alliance with. Passo della Tambura (1634 metres) impassable for many months of the years prevented the use of Vandelli as a trading way; today however it is come back to life as excursion route. A recent restoration of its stones makes it practicable in a demanding day long walk, between Resceto ( Massa side) and Arnetola( Garfagnana side).